I blog about our home building journey and my incurable thrifting addiction. 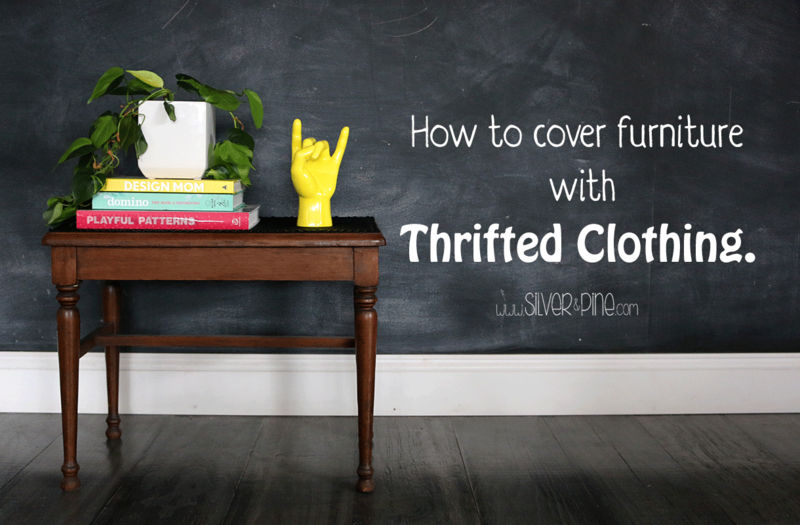 Once a thrifter, always a thrifter, especially when making over thrifted furniture with thrifted clothing! (You see what I did there?) Yes, ladies and gents, you can use thrifted clothing to recover furniture and I am going to show you exactly how to do it. A few months ago, I shared a picture of this laminate table that I purchased at Goodwill on Instagram. The size and style were the perfect fit for a project table for the kids, but like most furnishings in my house, it needed a major overhaul. Shall we see what we started with? Welcome to my Thrifted Winter Wonderland! 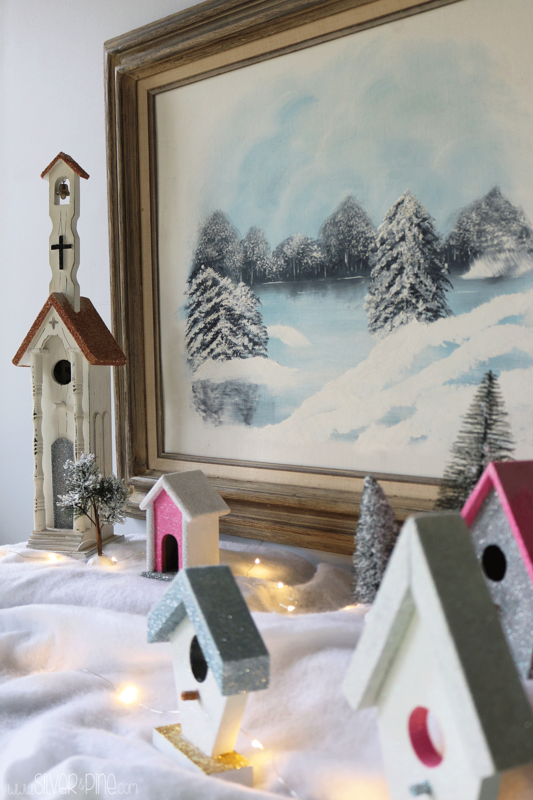 In between home projects and Christmas activities, I was able to squeeze in a little bit of time to create this little glittered village made from thrifted birdhouses. It was so easy and fun to do, let me show you how I did it. Giving an apple to your teacher to show appreciation is an old tradition. 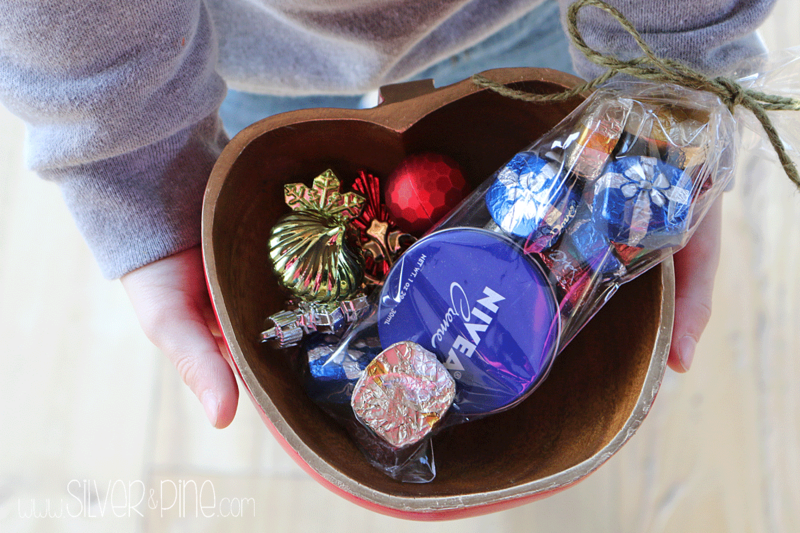 When I came across a bunch of wooden apple bowls at my local Goodwill, I knew they would be perfect as gifts for my children’s teachers for Christmas. After my latest post, I found myself in need of some therapy, and you know what kind of therapy I am talking about right? Retail therapy!!! My favorite type of retail therapy is spending time searching for treasure at my local goodwill and thrift shops. That is when the idea for this post was born. I am going to teach you how to shop for Christmas decor at goodwill. With the temps dropping and the seasons changing, there is an abundance of advice on how to decorate for fall. Most of it is about decorating your front door or porch. Well people, my front door is under construction, so I will show you how I decorated my back door for fall. Some of you already know that my favorite places to shop are Goodwill, the Salvation Army, the local Mission and of course, your curb. I thought now would be a great time to share how and what I shop for. Hello! I am Sarah-Marie, amateur home-builder, DIY enthusiast, and thrifter extraordinaire. Visit Sarah-Marie's profile on Pinterest.